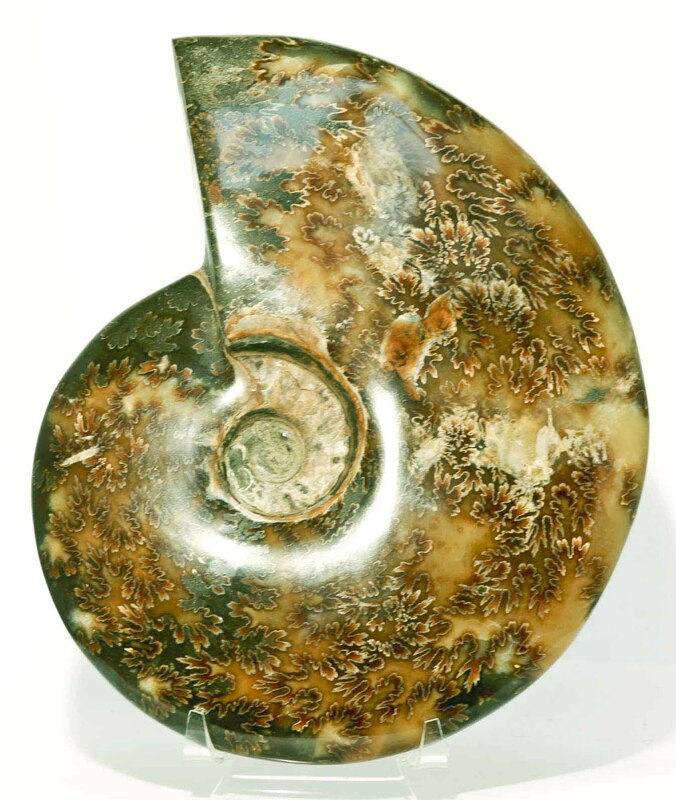 This polished Cleoniceras ammonite is a Cretaceous fossil from Madagascar. Rich brown and yellow hues with some shell remaining in the centre. 120 million years old.